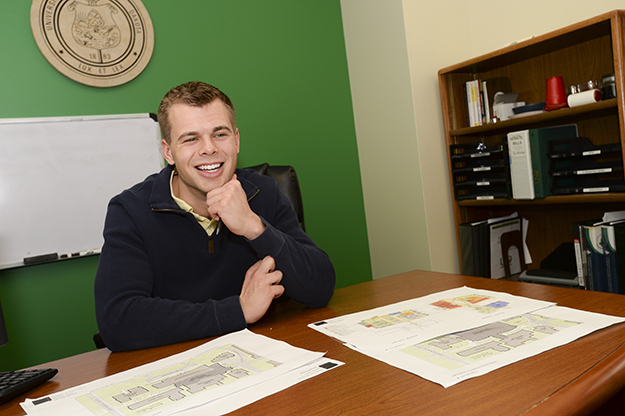 UND Student Body President Brandon Beyer goes over proposals for a renovated and expanded Memorial Union. Students will go to the polls April 12 to consider an increase in semester fees to fund the roughly $98 million project. Photo by Jackie Lorentz. When current Student Body President Brandon Beyer was considering a transfer to UND a few years back, the finance and honors major had a chance to get another look at Gamble Hall, the nearly 50-year-old headquarters to the College of Business and Public Administration. He decided to take a pass. He had already seen some impressive business schools at NDSU and the University of Minnesota. He certainly wasn’t wowed by the 1970s layout and amenities waiting for him at UND. If it wasn’t for the draw of a strong business curriculum at UND and the fact that his older brother was already going there, Beyer might well be elsewhere. Beyer argues his experience is not unique, and that prospective students put a lot of weight on a school’s “look and feel,” often garnered during their initial visit or tour. That’s one of the reasons UND President Kennedy has begun rolling out a new revitalization project to spruce up the main campus corridor, or “storefront,” along University Avenue from the English Coulee to Columbia Road. And that especially pertains to prospective students. The cause-effect is simple. 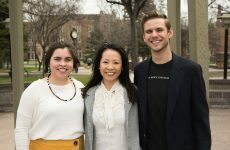 If, during these initial visits, more prospective students have the kind of experiences that entice them to attend UND, it means more new revenue for the University to benefit students, staff, faculty and the people of North Dakota. Kennedy is proposing a multi-faceted plan that calls on all segments of the community to chip in as One UND — private-donor support for upgrading Gamble Hall and the Chester Fritz Library, State/ University support through the potential sale of Dakota Hall and monetization of the value of the Ray Richards Golf Course, perhaps a student fee increase to remodel the Memorial Union, topped off with the City of Grand Forks upgrading University Avenue itself. 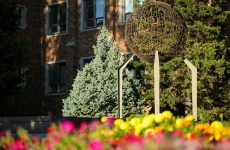 It also allows the University to address a large portion of its $500 million in deferred maintenance costs. 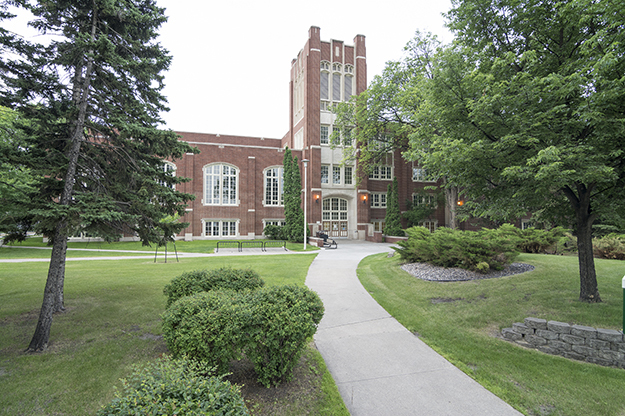 DeAnna Carlson Zink, CEO of the UND Alumni Association & Foundation, said that her organization is involved in two parts of the overall Coulee to Columbia project: Renovations and updates to Gamble Hall and the Chester Fritz Library. Carlson Zink said about $7 million already has been set aside to be used as matching funds for private donations for the library renovations and to address deferred maintenance. The idea is that for every $2 of private money gifted, the UND Foundation will match it with a $1. Chester Fritz Library, along University Avenue, could see as much as $21 million in updates and improvements from private fundraising. The goal is to raise about $21 million for the library project. As for Gamble Hall, she said the hope is to raise about $70 million for its renovations and to cover deferred maintenance needs. “We are currently educating business leaders for the year 2030, but it’s really hard to do that in a facility that was constructed in the 1960s,” Carlson Zink said. 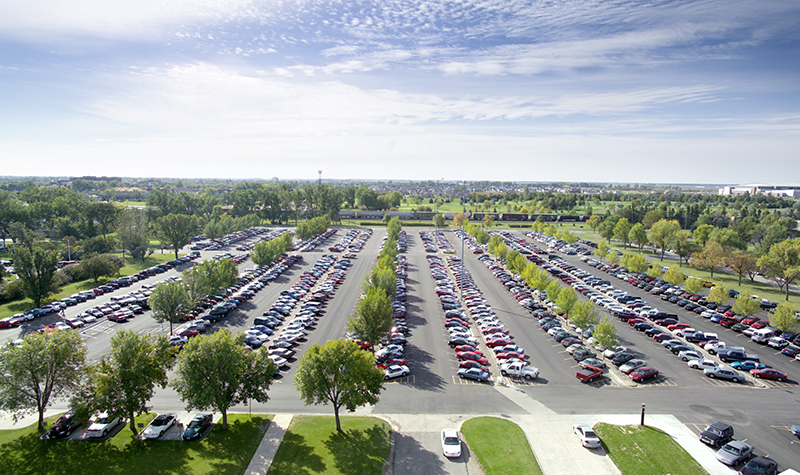 This image shows the east side of Gamble Hall, home of the UND College of Business & Public Administration. As much as $70 million in renovations and updates are proposed for Gamble Hall through privately raised funds. Stephanie Walker, director of libraries & information resources at UND, is looking forward to what could be when the campus’ main library, nearly 60 years old, gets its first major renovation since 1981. Walker envisions one day having the infrastructure to support technology such as a Google Liquid Galaxy system, interactive video walls and “one-button” studio rooms for students to hook up their digital devices for myriad educational purposes from art to science. 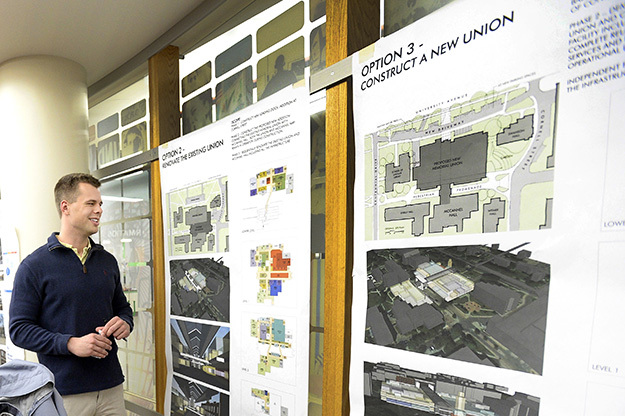 Beyer envisions a new Memorial Union that would be a bustling epicenter filled with a variety of amenities, including retail storefronts, food vendors, study spaces and offices. He adds that a busy and exciting Memorial Union is a major selling point for prospective students, and a main stop on any campus tour. Photo by Jackie Lorentz. Another major slice of the revitalization could get rolling after April 12, when UND students decide whether to increase student fees to pay for a complete renovation and addition to the existing Memorial Union. The nearly $98 million project would completely overhaul the Memorial Union and create a massive indoor promenade to the south over little-used Second Avenue North. The addition would completely close off the street and connect the Union and McCannel Hall. Beyer envisions a new bustling epicenter filled with a variety of amenities, including retail storefronts, food vendors, study spaces and offices. He also said that a busy and exciting Memorial Union is a major selling point for prospective students, and a main stop on any campus tour. Still another part of the revitalization was announced Wednesday in a letter to campus. It stated UND has initiated the approval process to demolish the eight vacant or soon-to-be-vacant buildings on campus by notifying the State Historical Society of its intent. The buildings include the former Era Bell Thompson Center, the International Centre, Women’s Center and Strinden Center. The renovations and updates to the Memorial Union, library and Gamble Hall, proposed asset sales, as well as the demolition of the eight campus buildings, if approved and completed, mean as much as $80 million in deferred maintenance needs could be addressed. 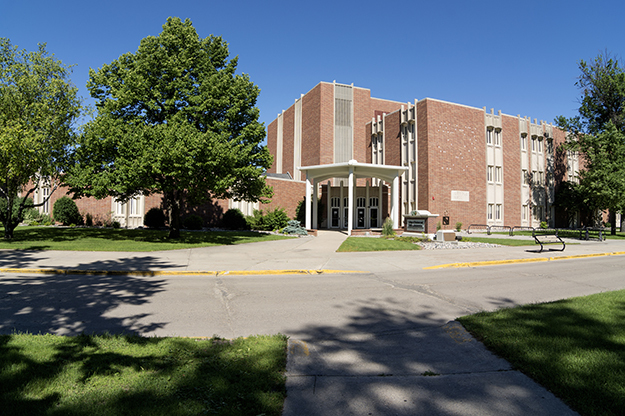 The improvements along University Avenue also would dovetail with other recently completed state-funded projects, such as a 16,000-square-foot UND School of Law expansion for about $11 million and a complete renovation to what is now known as Wilkerson Commons, a student meeting and dining center.